Meralco remained unscathed in the 2016 PBA Commissioner’s Cup after dealing a defeat to the GlobalPort Batang Pier even as Ginebra got the better of Star in the third Manila Clasico game of this season. The Meralco Bolts remained undefeated after five games in the Oppo PBA Commissioner’s Cup following a terrific effort against the GlobalPort Batang Pier, 96-88, on Sunday’s opening game at the SMART-Araneta Coliseum. Jared Dillinger led the way with 17 points, while rookie Chris Newsome came up big with 15 as Meralco improved to 5-0. Import Arinze Onuaku had a double-double with 13 points and 14 rebounds while Reynel Hugnatan, who did not play in the first half, finished with 12 points on a perfect 5-for-5 shooting clip in just over 15 minutes of action. GlobalPort’s Calvin Warner had 29 points and 19 rebounds, while Terrence Romeo had 18 markers but shot just 4-for-14 (28%) from the field. Arinze Onuaku (MER) - 13pts, 14rebs, 5asts, 4blks, 5/8 FGs. Calvin Warner (GLO) - 29pts, 19rebs, 3asts, 2blks, 1stl, 12/23 FGs. The Barangay Ginebra San Miguel Kings proved steadier in the endgame as they racked up seven unanswered points to close out their Manila Clasico clash with Star, 92-87, in the Oppo PBA Commissioner’s Cup on Sunday at the SMART Araneta Coliseum. Ginebra needed to weather a big third quarter run from Star and actually still trailed with 1:17 left to play but got the big shots it needed to come out on top. Othyus Jeffers had 23 points, 15 rebounds, and 7 assists, while Japeth Aguilar scored 15 points – all of them in the first half. They got more than enough support from Greg Slaughter, who tallied a double-double with 14 points and 12 rebounds, and LA Tenorio, who added 12 markers. 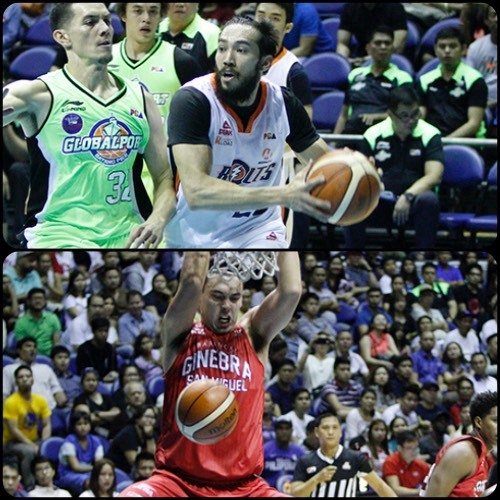 Slaughter and Tenorio also hit some clutch shots in the endgame to help their team clinch the victory. Ginebra is now 2-2 for the conference, while Star dropped to 1-4. The Hotshots were paced by Mark Barroca’s 16 points, while Denzel Bowles and PJ Simon added 15 and 14 markers respectively. Othyus Jeffers (GIN) - 23pts, 15rebs, 7asts, 1stl, 10/20 FGs. Denzel Bowles (STA) - 15pts, 8rebs, 5asts, 4blks, 1stl, 6/18 FGs.